A true breakthrough in innovative health product development, OptiBiotix’s Lactobacillus plantarum LPLDL® is a next-generation probiotic that aids elements of cardiovascular and wellbeing. What makes this product so distinctive is its ability to improve blood lipid profiles and blood pressure using probiotic research, a holistic, non-pharmaceutical solution, to transform the way physical health is approached. Whereas high levels of cholesterol are commonly addressed with statins, which are drugs known to be associated with a host of undesirable side effects, LPLDL® offers a natural, scientifically founded alternative with no known side effects. *Independent studies have found LPLDL® to be safe and well tolerated by human subjects. 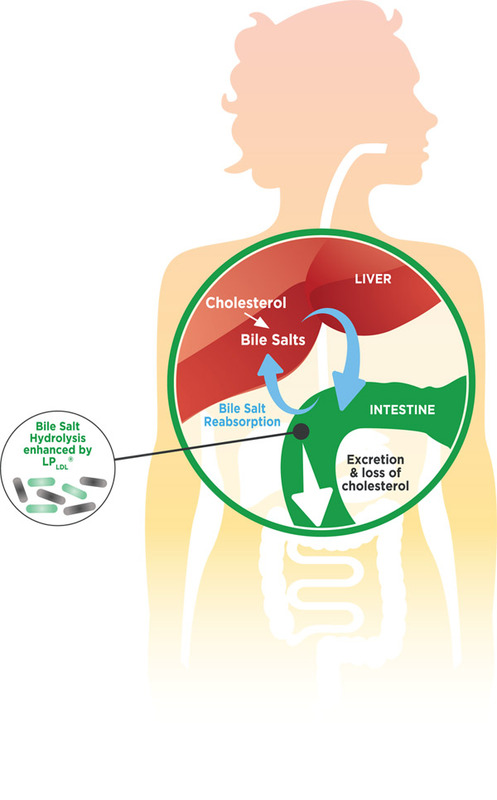 LPLDL® harnesses the microbiome-liver axis to positively impact upon the gut microbiome , using a naturally-occurring strain of the bacterial species Lactobacillus plantarum, which demonstrates an exceptional capacity to modulate the metabolism of bile acids. This activity is important to bacterial survival in the intestine’s hostile environment and aids conditions such as high blood pressure and high cholesterol, as well as physiological processes including vitamin metabolism, glucose regulation and liver function. LPLDL®’s outstanding stability in processing makes it a suitable ingredient for a broad array of functional food products and supplements in consumer and pharmaceutical health care. It has outstanding survival and metabolic activity in high concentrations of bile salts and conditions in the intestine, and shown excellent survival to freeze-drying and stability at 25°C and 5°C over 24 months. LPLDL® is manufactured in pharmaceutical GMP-certified facilities and protected worldwide by 5 patent families and 3 trademarks. LPLDL® is also available in OptiBiotix food supplements.